A decade ago, Frank Warren began a community art project that captured the popular imagination and became a worldwide obsession. He handed out postcards to strangers and left them in public places—asking people to share a secret they had never told anyone and mail them back to him anonymously. More than half a million secrets, 600 million hits to the award-winning PostSecret blog, and five huge bestsellers later, the PostSecret phenomenon is bigger than ever. By turns funny, heartbreaking, thoughtful, and moving, this compendium of graphic haiku offers an intimate glimpse into both individual private lives and into our shared humanity. 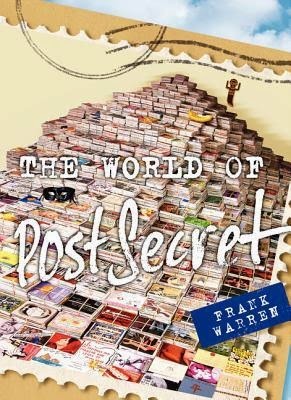 Included in this compelling new book are dozens of the best archived secrets from the original PostSecret app; inside stories about the most controversial secrets Frank Warren has received; moving text from the new PostSecret play, foreign secrets, "puzzle" secrets, and much more! If you've somehow missed out on the PostSecret phenomenon, you'll definitely want to click here to check it out. Once you've seen it, I'm pretty sure you'll be as hooked as I am. This collection is the (maybe) last in a series of books that collect the post card secrets sent to Frank Warren, as well as some secrets submitted to the app. In addition, it contains several short essays that describe significant moments in the project's history, controversial posts, and how the app influenced the project. You can read it slowly and savor each secret, or, you can do like I did and devour it in one sitting. It's definitely earned its spot on my coffee table, and I'm looking forward to seeing future guests pick it up and thumb through - I know they won't be able to resist.